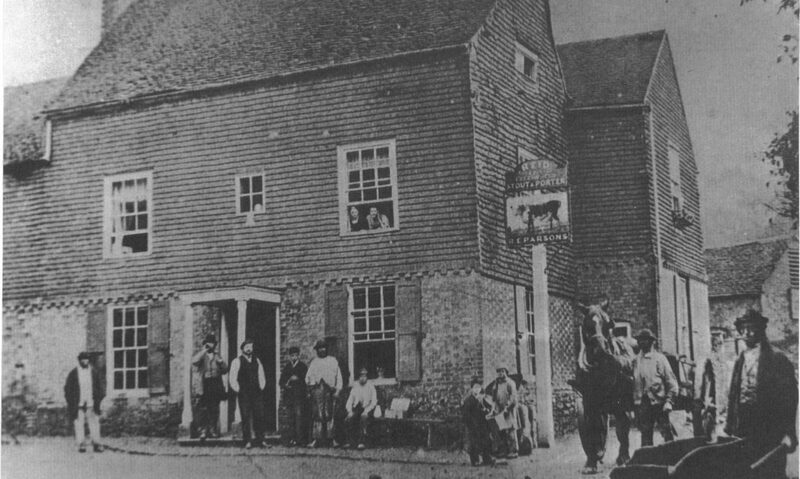 It hardly seems like any time at all that The Bull Inn went up for sale and we decided to hatch a scheme to buy it and create something unique for future generations. Now, 8 months since we launched the fundraising campaign and 6 months after we took ownership, we are all set up, refurbished and open! Our 6 investor sneak peek sessions were a huge success with investors and their “plus ones” taking the opportunity to meet the staff and have a look around the newly refurbished building ahead of opening. Feedback was incredibly positive with everyone hugely impressed by what we have achieved in such a short time. Our exciting business has been conceived in response to the changing needs of the community, with a vision to create more than a pub – a ‘pub-hub’ at the heart of local life. We are incredibly proud of everyone who has helped get us to this point – all our investors, supporters, local community members and the countless amazingly skilled and very patient tradespeople, suppliers and designers who have worked tirelessly for months to create a beautiful, modern and functional environment that respects the fabric of this historic Grade II listed building. Under the direction of local heritage officer, Martin Higgins and EL co-founder and project manager, Adrienne Gray, the brilliant team of builders from Metz Construction, interior designers, Design TwentyFive and antiques expert, Lisa Lloyd of Hand of Glory Antiques have collaborated to create a beautiful, modern, functional environment leading The Bull into a new charge! As a unique and independent pub-hub, the design team has had the freedom to select furniture and fixtures to create fun and quirky spaces with lots of character and talking points, such as interesting and unusual light fittings, mirrors and artwork. A dynamic new management team has been appointed to lead The Bull Inn into an exciting new era. If you haven’t met them already, please go and say hello! General Manager, Jessica Hurren and her assistant Dylan Nel are joined by exciting chefs Tommy Pring and Denes Miko (Head Chef and Deputy Head Chef respectively). Together they will build on The Bull’s heritage and give it a modern twist to create a great venue for both existing clientele and generations to come; offering top quality, accessible food and drink, without the London price tag and providing a space for a wide range of activities for local individuals and businesses. Tommy, Denes and apprentice Chef, Harry have been busy creating two core menus – grazing (for anytime and any area within the pub) and feasting (evening à la carte menu). Anticipating an initial stampede of customers, in order to allow as many guests as possible to enjoy The Bull experience in its first few weeks, we will be offering the ‘grazing’ menu only for an initial ‘soft launch’ period, with the full ‘feasting’ menu following on shortly after the initial rush! We are also offering a Sunday Lunch menu with roasts and all the trimmings. Menus will be updated regularly to include regularly-changing seasonal specials, local dishes and classics with a twist; with options to suit most tastes, dietary needs and preferences. Under the expert guidance of Hennings Wine Merchants, our excellent value wine list has been carefully selected by a very enthusiastic team of volunteers and comprises some of the best British wines, as well as a range of international ones, that combine flavours and styles to complement the new menus and delight new friends! On the beer front, The Bull’s team has been working with local breweries, including Godstone, Titsey, East Surrey and Westerham Breweries to explore the wide range of lagers, ales and beers being created in the local area. Through a very enjoyable selection process, our tasting team and volunteers have chosen several firm favourites as the starting range. While we are keen to be known for our well-kept range of beers, we will be also be showcasing guest beers on a regular basis. Embracing the current trend for craft gins, there will also be a range of fresh and exciting options to choose from to help customers find their perfect G&T. There are a variety of spaces for private hire, from birthdays and celebrations through to meetings and business breakfasts, with bespoke menus created in line with clients’ budgets and requirements. Our high-end and flexible facilities will cater for all types of events, both personal and business, offering opportunities for exciting, wide-ranging collaborations with successful local enterprise, suppliers and producers. Please make sure you contact us well in advance for any bookings required. Private dining must be pre-booked for a minimum of 8 people. We are still open for investment, just in case you thought you’d missed out! We have increased our stretch target to take into account some escalated works we decided to carry out before we opened, including the new decking and the conversion of our beautiful old grain store, which will be used for indoor/outdoor events and the perfect stop-off for thirsty cyclists and dog walkers in the summer months! We are so excited to have got to this momentous point, and would like to thank everyone who has been involved in our amazing journey to date. We look forward to welcoming you all soon and we are sure you will love your new village pub-hub! Cheers! Previous PostPrevious October update and dates for investor sneak peeks! Next PostNext A truly momentous month!